Hello NHE/OV PTA members, families and community members! Once again I would like to thank all those who have contributed donations to the NHE/OV PTA Donation Capital Campaign! As of today we have raised $1435.96!!! WE ARE SOOO CLOSE TO OUR $2000 GOAL!! The Capital Campaign will soon come to end this Friday, JUNE 13th, 2014 at midnight. Remember all your proceeds are TAX-DEDUCTIBLE and go directly to supporting PTA programs/events without having to profit share with an outside organization. 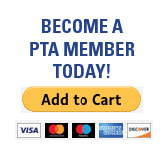 For donation online please visit the PTA website and click on the “Donate” button of the PTA homepage.